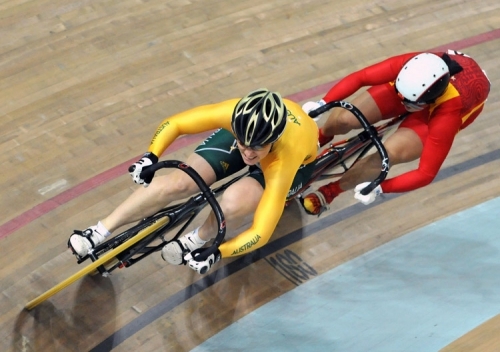 Anna Meares showed the true spirit of a champion when she overcame a terrible cycling accident in 2008 to win silver at the Beijing Olympics and a gold and bronze at the London Olympics. Anna’s story is an inspiring example of courage, determination and overcoming enormous obstacles to achieve great success. 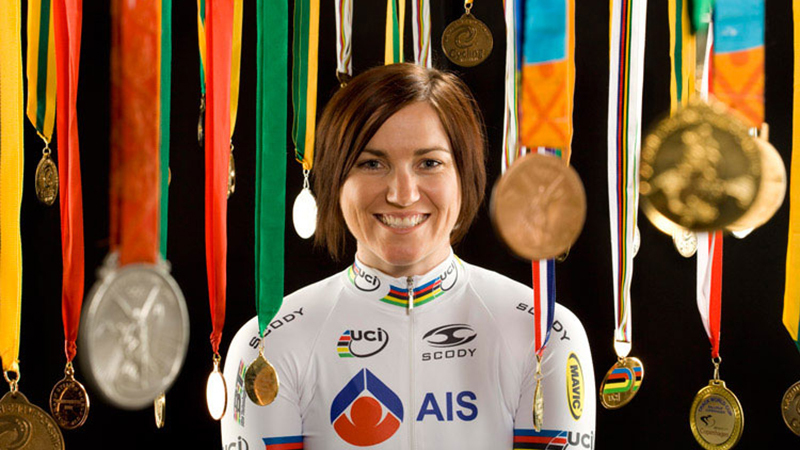 From humble beginnings in a small Queensland mining town, Anna Meares rose to prominence through her skill as a cyclist. She won gold for Australia at the 2004 Athens Olympic Games, setting a new world record time in the Women’s 500 metre time trial. She also received an Order of Australia medal for her achievement. Tragedy struck in January 2008 when a cycling accident at the World Cup left her with a hairline fracture in her C2 vertebrae as well as other injuries. She was back on her bike within weeks and managed to qualify for the Beijing Olympics. In August 2008, she won the silver medal at the Olympics in the Women’s Individual Sprint, followed by another gold at the London Olympics in 2012. 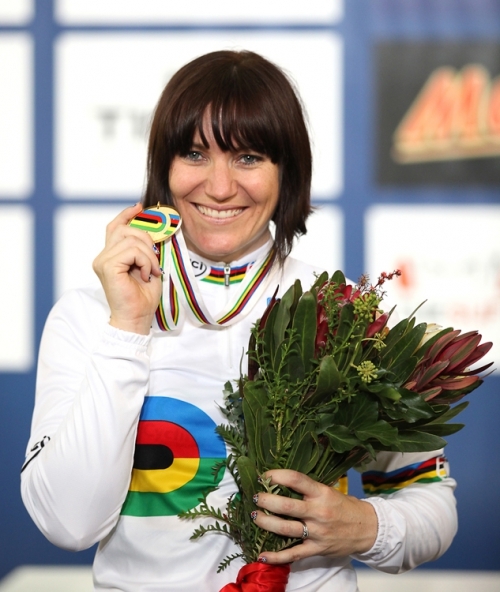 In December 2012, Anna was awarded the Sir Hubert Opperman Cyclist of the Year medal, along with the People’s Choice award and the Women’s Track award at the Australian Cyclist of the Year Awards. Anna Meares overcame major life-threatening trauma to realise her dream. She experienced a career-stopping heavy fall during a time trial at the World Cup in Los Angeles in January 2008, less than eight months out from the Beijing Olympic Games. An accomplished speaker, Anna talks about sportsmanship, success and the power of the mind over the body. “Success is not about staying un-defeated” she says “It’s about how you handle defeat – that’s what makes a true champion on the track and off it”. Anna’s training paid off when she not only won the gold medal at the 2004 Athens Olympics, but she was also the youngest Australian track cyclist to win Olympic gold, and the first Australian female track cyclist to win an Olympic gold medal. To top it off, she also set a new world record in the Women’s 500 metre time trial of 33.952. She also won a bronze medal in the Women’s 200m Sprint, and was later awarded an Order of Australia medal for her achievement. She was determined however, and was back on the track within just ten days of the accident, albeit only tentatively. At the Melbourne time trial four and a half months after the accident, she was easily able to eclipse the Olympic qualifying time set by selectors in the 200 metre sprint. She was also very close to achieving a personal best time. At the Beijing Olympics, with the goodwill of Australia behind her, she won the silver medal in the Women’s Individual Sprint. At the 2012 London Olympics, Anna won gold in the Sprint and bronze in the Team Sprint. Most recently, Anna swept the pool at the 2012 Australian Cyclist of the Year awards. She was awarded the Sir Hubert Opperman Cyclist of the Year medal, along with the People’s Choice award and the Women’s Track award.